Truth stranger than fiction? Ricardo Medina Jr of Power Ranger fame fatally stabs his roommate after a quarrel gets out of hand. From stunt-driven action fame on TV to sword-wielding murder in his apartment - that unlikely path is the one taken by Ricardo Medina Jr, famous for playing the Red Ranger in the iconic hit series Power Rangers, who was arrested on Saturday. Medina, 37-years-old, was charged with stabbing his roommate Joshua Sutter in the abdomen with a real sword on Saturday afternoon around 3:30 p.m. in Palmdale, California, according to TMZ. Police reports indicate the two quarreled, at which point Medina locked himself in his bedroom with his girlfriend. But when Sutter forced his way into the room, Medina reportedly stabbed him once with the lethal blade. The former power ranger then called the 911 emergency police line and waited at the apartment for police to come. He was arrested and given murder charges after Sutter was rushed to a hospital where he was declared dead. Medina's neighbor Justin Adamson told ABC7 that the actor only moved in around two months ago. He noted "we brought him some bread and just tried to interact a little bit with him, but he was more of the, you know, the type of guy that didn't really want to communicate." The actor is being held in jail on a $1 million dollar bail. The sword-wielding action star made his break back in 2002 in the Power Rangers Wild Forces TV series, and later played Deker in the series Power Rangers Samurai in 2011. 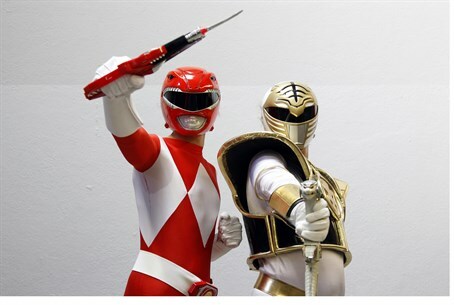 The story has an Israeli connection as well - influential Israeli billionaire Haim Saban initially made his fame and fortune back in the 1990s by producing the Mighty Morphin' Power Rangers TV franchise.